We're not trying to boast or anything, but this might just be the funniest thing you'll watch today. 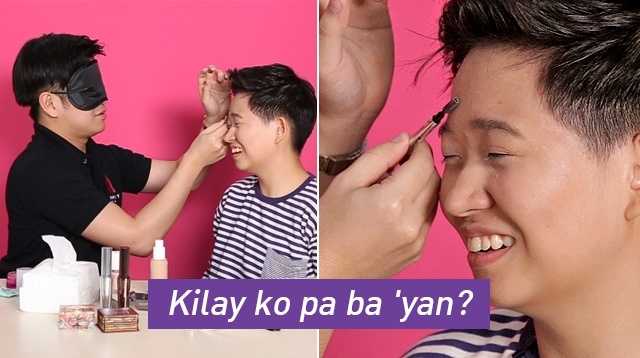 We asked four pairs to put makeup on each other… but there's a catch. Because nothing in life comes easy, the person applying the makeup had to do it in the dark. Like, literally, with a sleeping mask over their eyes.